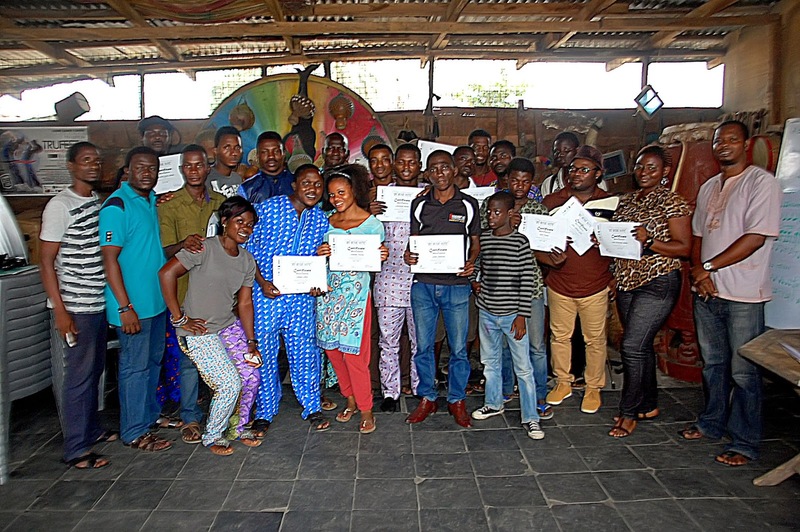 A group photograph of participants at the end of the training. 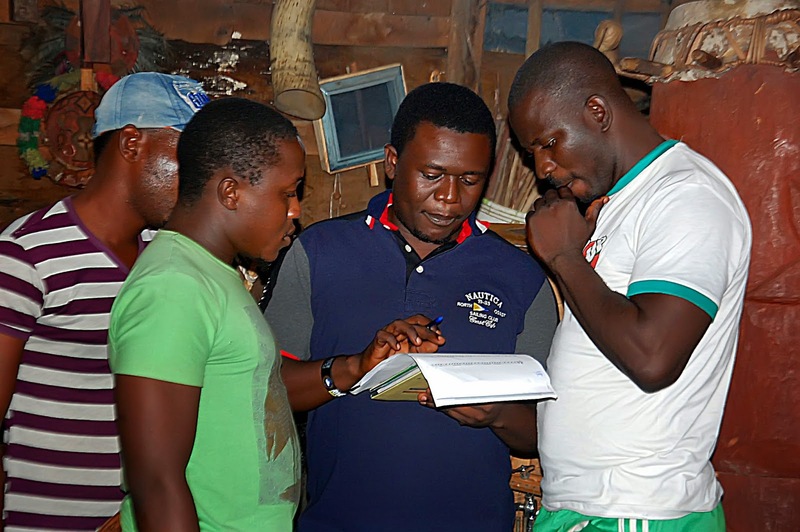 Isioma and Ijo-Dee ensuring that notes are well made. 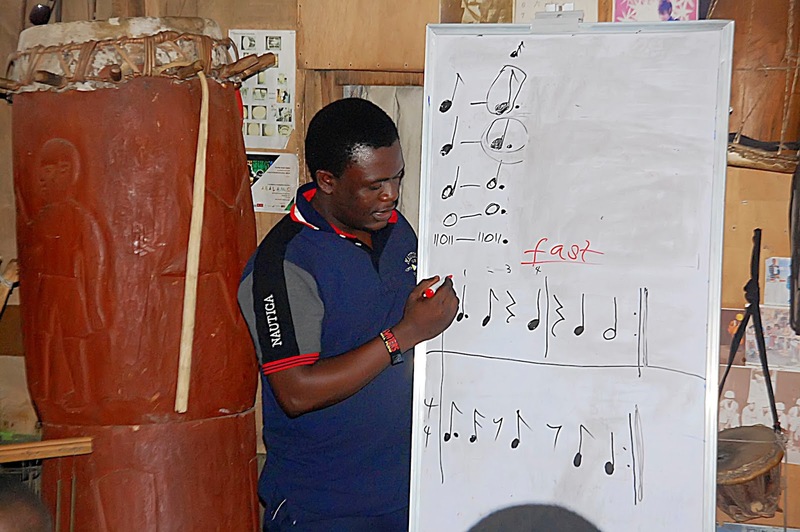 Adisa Timothy giving an illustration of a music note to participants at the Drums Clinic. The 2014 Isioma Williams’ drums clinic tagged ‘My music note,’ targeted the development of music notes in traditional African songs just as it also applies for drumming. Organised by Drums View at the Gongbeat Studio, participants were taught the importance of developing the skills in writing down music notes to make their songs and drumming become more globally accessible. 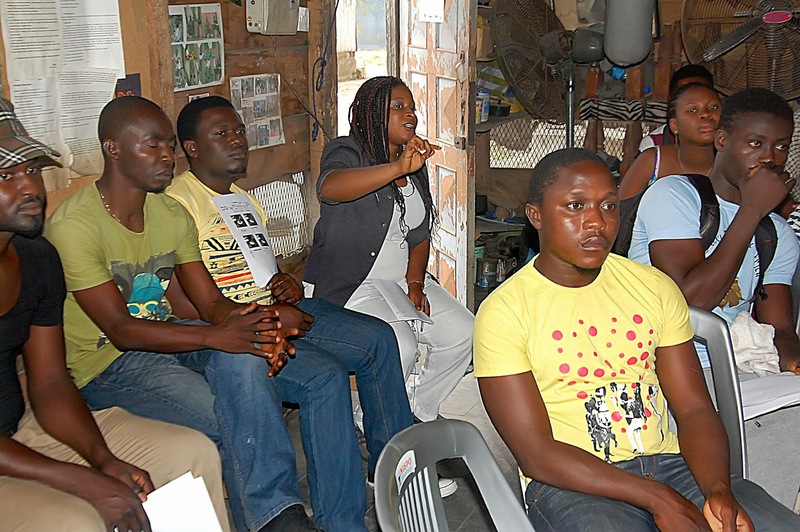 A cross section of participants. Like participants were taught, Western music is easily appreciated because they have notes that strangers can look up, follow and get the tunes as the original work. The organisers say the interest to do this came from the desire to document original works of arts from Africa and Nigeria particularly. This was done with the hope to preserve work of African heritage, as a number of them had been lost due to lack of documentation to benefit the younger generation. Timothy explaining a point to some participants. Abiodun Timothy featured as an instructor and shared his experience in the 5-day music note clinic. He lamented that many Nigerian musicians could only sing, but not write their songs, thus reducing the value of their music. “The study of traditional music instrument has been done orally over the years by our forefathers, but it is important to put them down so that we don’t lose originality. Isioma taking one of the sessions. He urged Nigerian artistes to begin on the efforts to put down their songs in the universal language for them to be appreciated. Timothy who at present studies music at the University of Ibadan, enjoyed the MTN scholarship and was trained in music at the Musical Society of Nigeria (MUSON). Much as he enjoyed the practical lessons he got during his training at MUSON, Timothy who plays different musical instruments including the Saxophone, said studying music at the university was a lot more detailed. 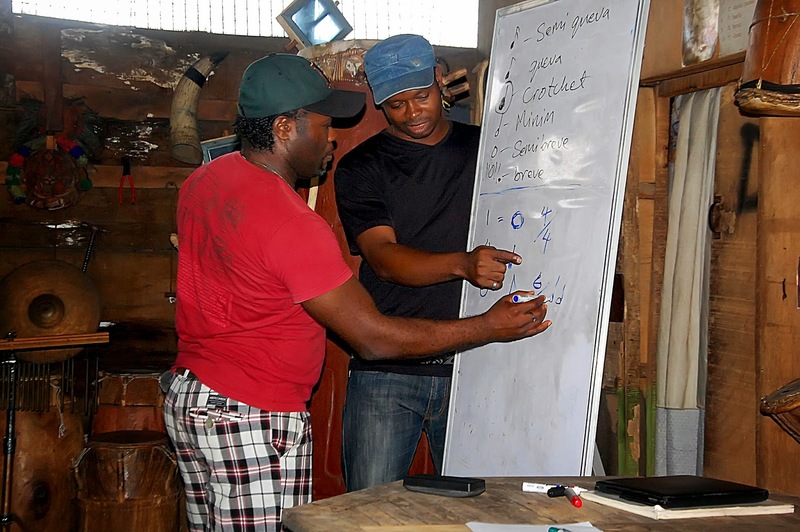 And he hopes to combine his ideas from both the Western and African experience of learning and understanding music. 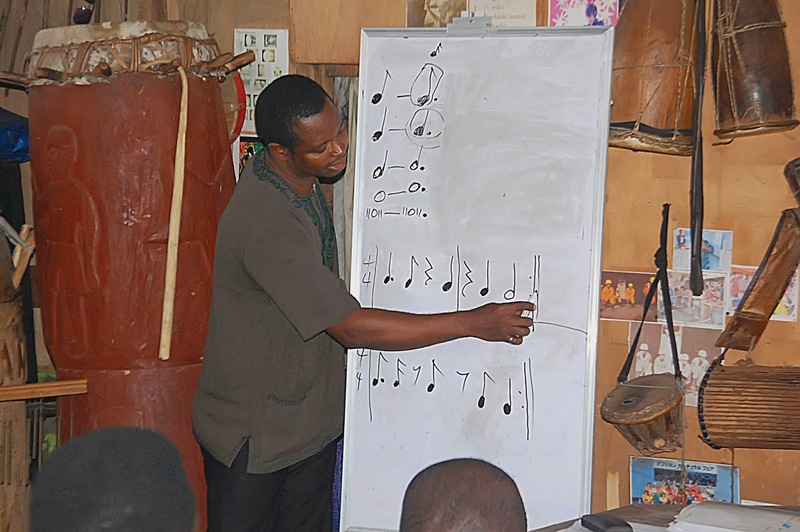 As a participant at the drums clinic, Akam James Abishai said learning how to write down African music note required pains-taking efforts to know and master the art. He, however, advised that the gain outweighs the pain.